Until such a time when video games can be controlled directly with our minds — although we’ve taken the first steps towards it — home video game consoles will primarily rely on controllers for interaction. Even in PC gaming, controllers have become prominent, with different manufacturers producing different types. Home video game consoles have always been paired with controllers. So, when Microsoft decided to join the video game industry with its flagship console, the original Xbox, they went with the norm and partnered it with an innovative controller. The original Xbox controller, at first glance, looks like a cross between a Nintendo 64 controller and a Sony PlayStation controller: It’s both sleek and fun. During the Xbox’s three-generation run — the original, the Xbox 360, and the current Xbox One — its controllers have naturally evolved, but not to the point that it’s drastically unrecognizable. Now, who says that controllers can only be upgraded when shifting to the next generation of consoles? That’s probably what Microsoft was thinking when they decided to develop the Xbox One Elite Controller (see below). Aside from the noticeable lack of the traditional directional pad by default, the Xbox One Elite Controller has several buttons at the back that can be assigned for different functions. The selling point of this new controller for the Xbox One is that it can be freely customized to fit whatever preferences the players desire for every specific game. So, yes, you can have different control schemes for the newest Tomb Raider and Metal Gear Solid games. With its price of more than a hundred dollars, people initially scoffed at the new controller, deeming that it’s nothing more than a cash-grab by Microsoft, despite positive reviews to its features. But after Microsoft executives made some rounds around different game stores like GameStop, it was found out that the controller sells way more than expected. The Xbox One Elite Controller has been reportedly out of stock since December 28 at major stores. The product has proven to be quite handy when tackling different games, especially those that require precise controls in order to survive. The Xbox One Elite controller is another example in the gaming industry that some things are certainly worth shelling out big bucks for, if the recent sales reports are any indication. 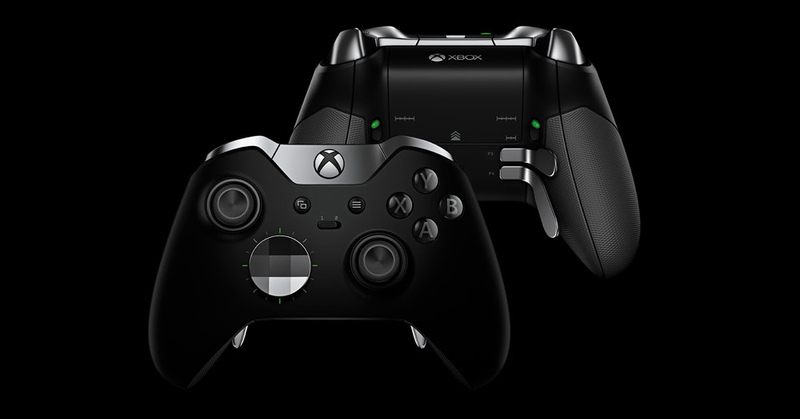 Currently, the controller can only be obtained by purchase of the Xbox One Elite model.